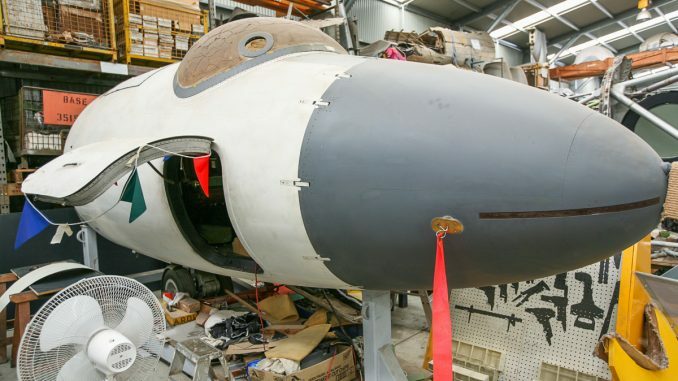 The South Australian Aviation Museum near Adelaide may be little known outside of Australia, but they have an important collection of nearly two dozen aircraft, some of which are exceedingly rare. They currently have three airframes under restoration: a Fairey Battle, an Avro Anson, and the nose section from an English Electric Canberra. Phil Buckley recently paid the museum a visit and will be reporting on these restorations in a series of articles over the next few days. Today’s episode will feature the Canberra! 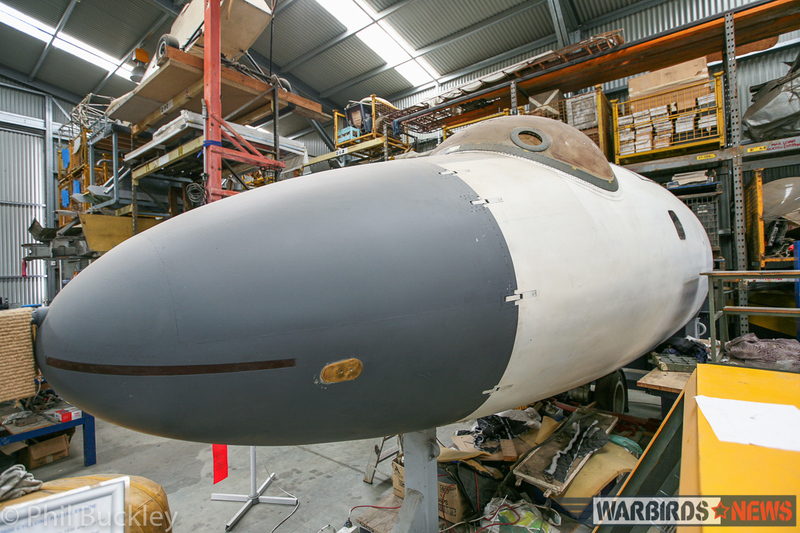 The South Australian Aviation Museum has a complete example of the English Electric Canberra on display, B.2 variant WK165 which is famous for taking part in the missile trials at the Woomera Test Facility. 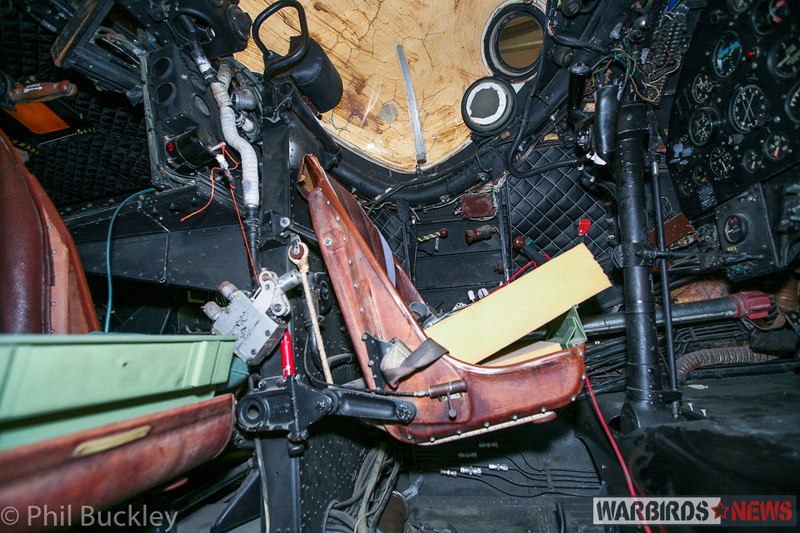 However, the museum acquired the incomplete hulk of T.4 WD954 to serve as a parts source in the restoration of their B.2. 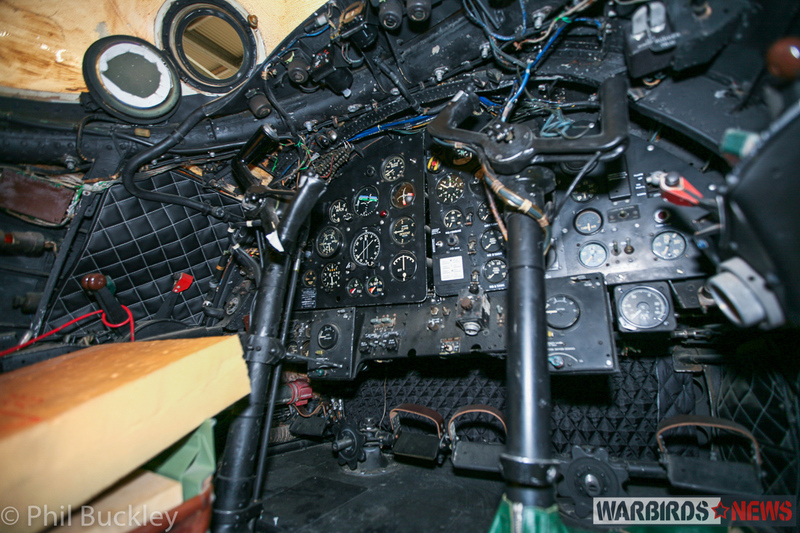 WD954, also served in the missile trials at Woomera, and while her history is significant too, the museum decided they needed to focus on the important, and under-represented story of RAAF Canberra crews in combat over Viet Nam. 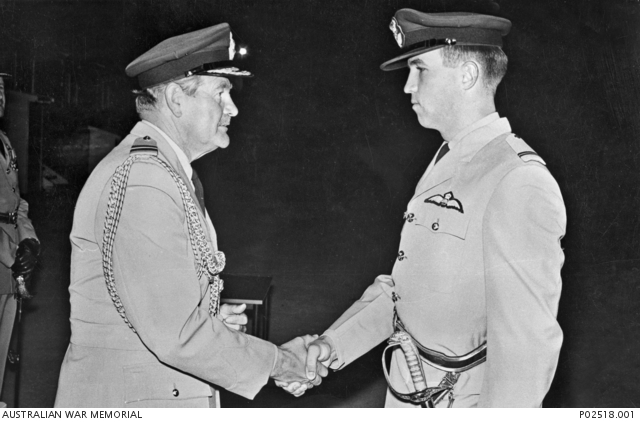 Therefore, they are restoring WD954 to tell the story of Flying Officer Michael Herbert and his navigator, Pilot Officer Robert Carver who lost their lives in RAAF 2 Squadron Canberra A84-231 while returning from a bombing mission near the border between Viet Nam and Laos on November 3rd, 1970. F/O Herbert was on his 199th mission when he died. An investigation team rediscovered his Canberra’s crash site in April, 2009 and repatriated Herbert and Carver’s remains for a state funeral later that year. The two men had been the last missing servicemen remaining from Australia’s ten-year involvement in the Viet Nam War. English Electric Canberra WD954 originally started life as a B.2 bomber variant; the 13th example off the production line in December, 1951. After a period on loan to the Aircraft & Armament Experimental Establishment, where she took part in the type’s tropical trials evaluation in Kenya, the aircraft returned to formal RAF service, and underwent modification into a T.4 trainer variant. 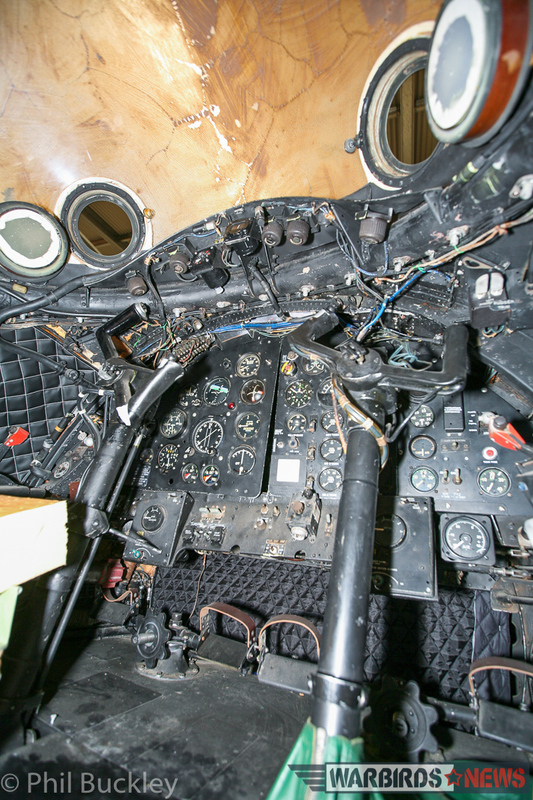 This conversion, among other things, involved the removal and replacement of her original forward fuselage and cockpit (which amazingly still survives in Britain today). The refurbished WD954, with her brand new forward fuselage, was ready for service by the end of November, 1956, joining the Station Flight at RAF Helmswell initially, before moving on to the Station Flight at RAF Upwood, and eventually joining the books with 76 Squadron at that location. WD954 moved to Australia for pilot training duties on January 9th, 1959. She took up residence at what is now RAAF Edinburgh, near Adelaide. (Note: The Royal Australian Air Force had a fleet of Canberras in service at that time, including forty eight examples that rolled off Australian production lines at the Government Aircraft Factory in Fishermans Bend, Victoria.) By January, 1960, WD954 had moved on to the Long Range Weapons Establishment, Woomera as a missile tracking aircraft. She served there for much of the next decade, before finally retiring formally from flying duties at RAAF Edinburgh on February 13th, 1970. WD954 then endured duties as a weapons target, suffering damage during the Karinga cluster bomb trials. However, she survived long enough to enter preservation as a wing-less hulk with the now sadly defunct Warbirds Aviation Museum at the former RAAF Mildura. (Click HERE to see a fascinating look back at that museum). The South Australian Aviation Museum obtained WD954 in 1993, and as already stated, they used her as a parts source for WK165. 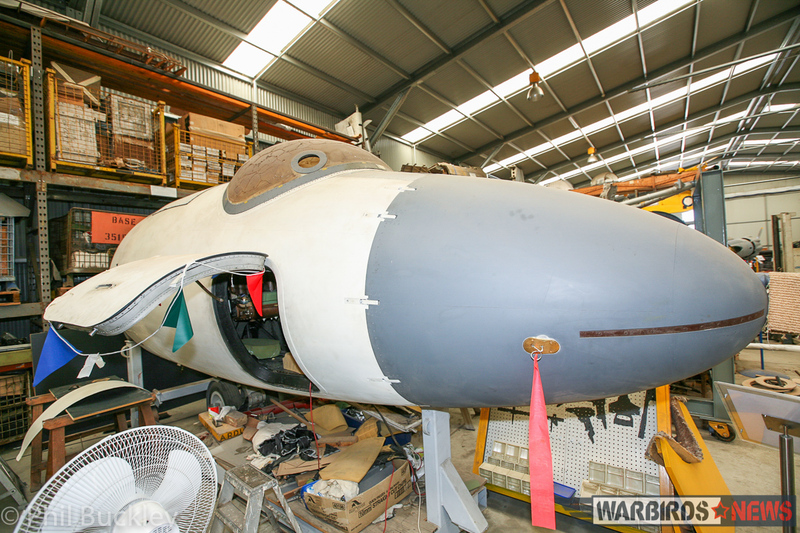 With that effort completed, they are now restoring the forward fuselage for a future display on the Viet Nam war. The primary tasks they have been working on are to remove and prevent further corrosion of both external and internal fixtures, to paint the external surfaces, and to replace as many missing parts as possible. They have already made great progress on this project, as you can see in the accompanying photographs, although they are still in search of some cockpit instruments and control panels, and expect the process to take some time to come. It has been necessary to search most overseas and local websites to acquire missing parts, cockpit instruments and control panels being high on the wanted list. It is expected that this search for replacement parts and the ongoing maintenance on this aircraft will continue well into the future. Many thanks to Phil Buckley for his work on this piece. We look forwards to sharing more of his stories in the near future!